Nissan is planning on running a close-to-stock GT-R in the 24 Hours of Nurburgring race. Nissan&apos;s GT-R Development Team will reportedly compete a near stock model in the Nurburgring 24 Hours race, taking place in May. 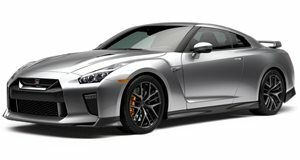 The production version GT-R has been dubbed the Club Track Edition and will be, basically, a track-day car with weight-savings measurements about the only tweaks given to the notorious supercar-killer. The team from Nissan wants to show off how remarkable Godzilla is in factory form and also collect data on how they can improve the venerable GT-R over the next five or so years. According to their press release, "Nissan will assess its endurance capability in the toughest environment (24 hour race) at the world&apos;s toughest circuit (Nordschleife) against strong competitors-European sports/super car manufacturers&apos; factory racing cars." Sounds more like gamesmanship than anything else. The Nurburgring 24 Hours is one of Germany&apos;s premier racing events. The endurance race will take place from May 17-20.